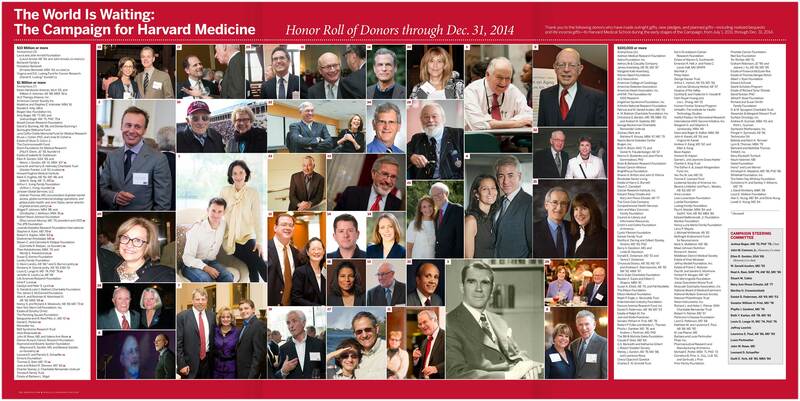 This is our practice’s longest relationship, spanning more than thirty-five years. 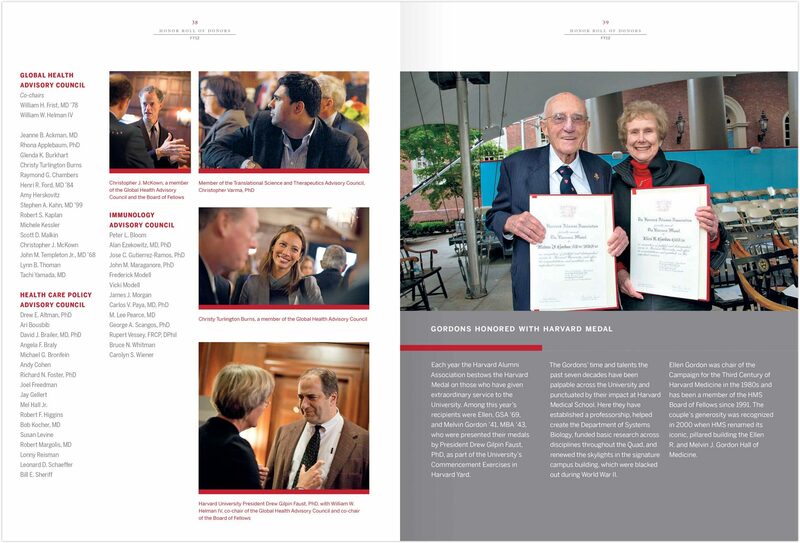 We’ve been involved in campaigns to build new buildings around the Longwood Quad, fund new departments and initiatives, and celebrate the School’s bicentennial. 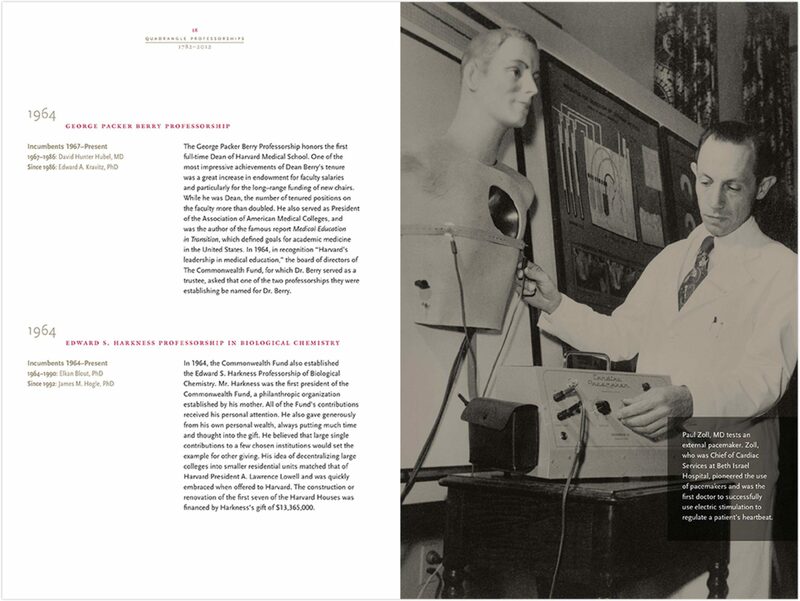 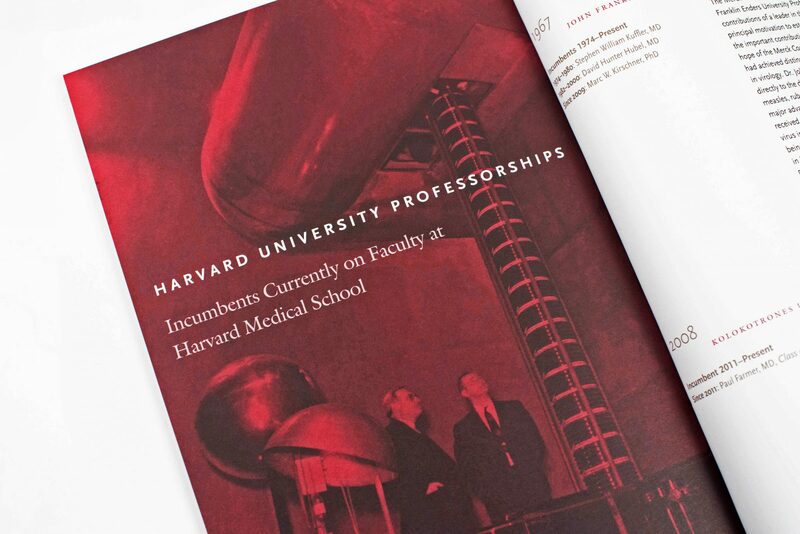 We also designed major ongoing communication vehicles: Focus and the Harvard Medical alumni magazine. 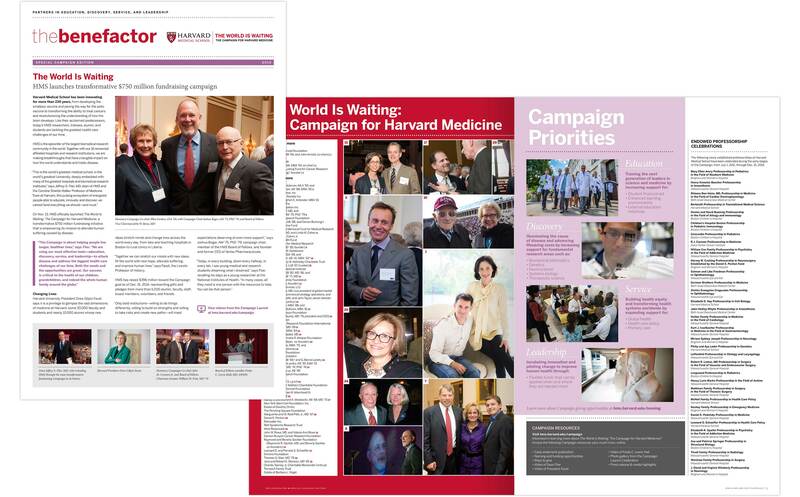 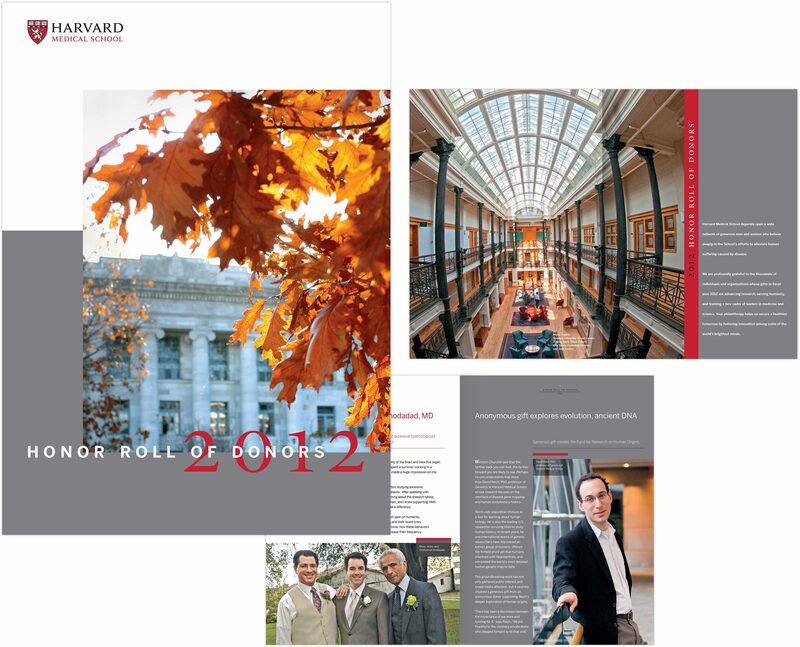 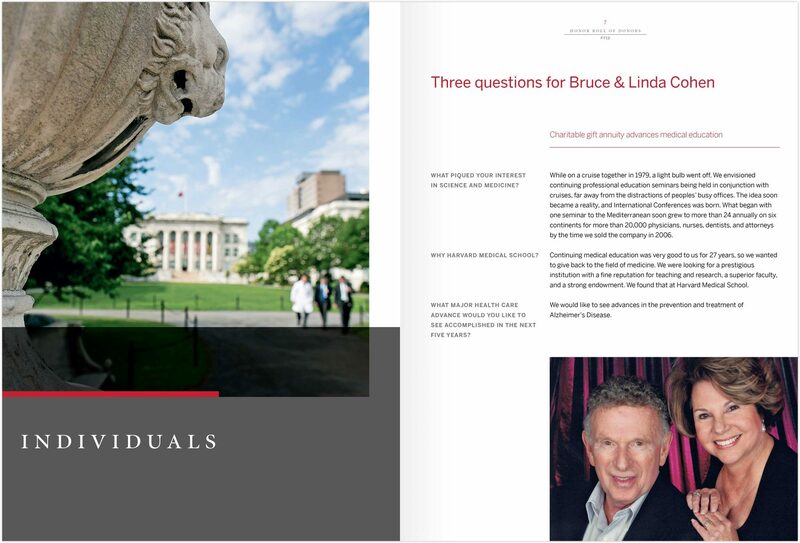 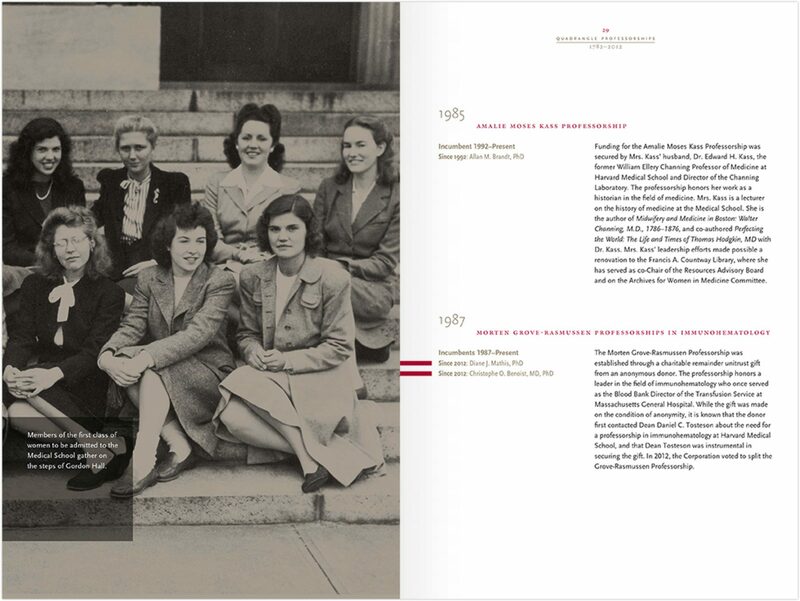 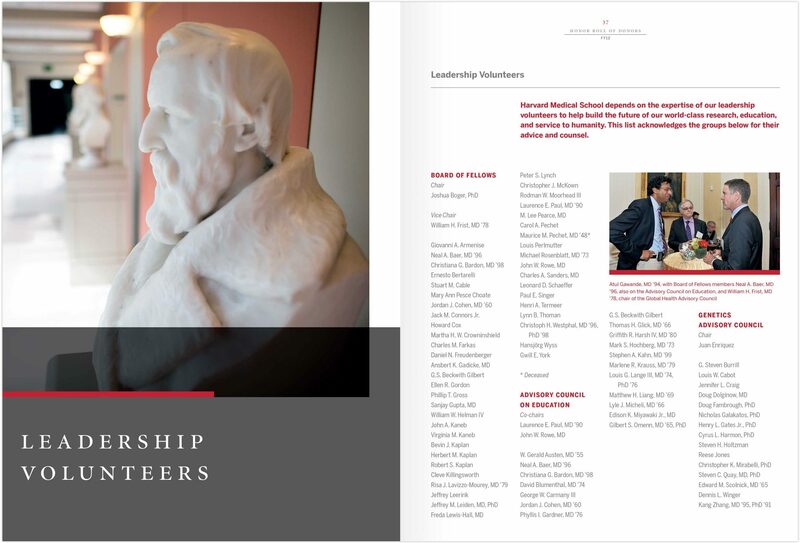 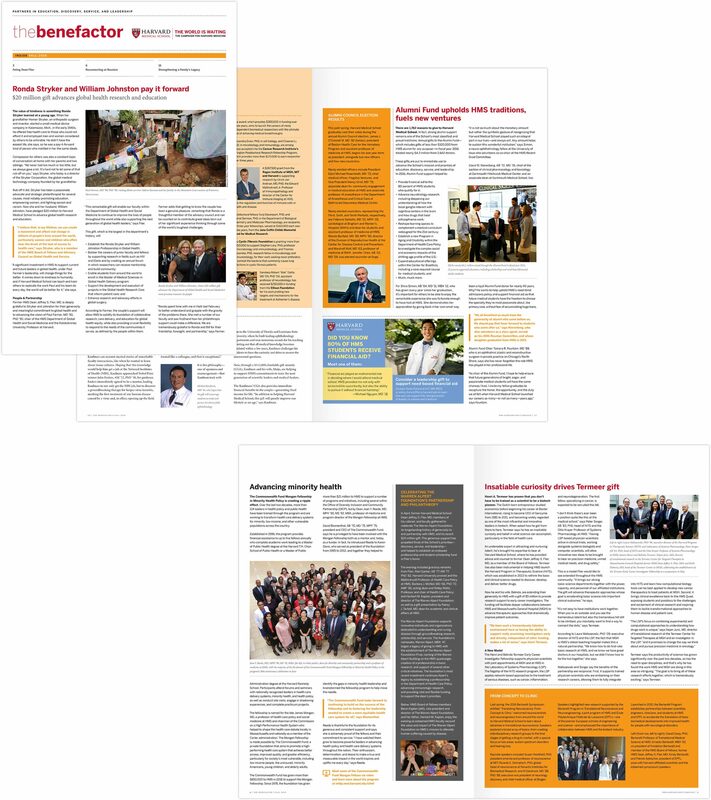 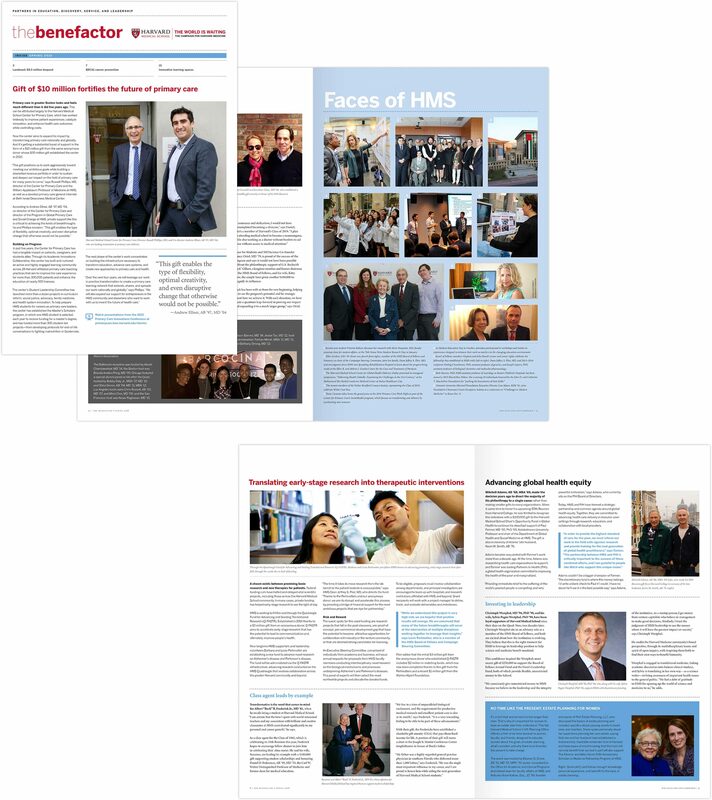 Over the past decade of collaboration, we’ve launched two websites, created an oversized print newsletter to reach out to, and acknowledge major donors, The Benefactor, and developed the Honor Roll: a yearly digest that details Harvard Medical’s committed group of supporters.